To run this ideófono, the mouth is used as a sounding board, the strip is pressed while the internal metal frame of the project is strongly supported on the teeth. Few instruments have a geographical spread and a variety of names such as the mouth harp. Only in Spanish-speaking countries is called mouth harp, harp Hebrew chanfloina, Paris horn, horn Galician birimbao or birimba, samsónia, sanfoina ferro or fanfloina, pious-SUPPORT, horn or tube-tronpa Musu kitarra , Mosuo-musical. Not to mention the many other names, of which the best known is jew's harp literally harp Jew, whose first official mention of England in 1595, and was formerly known as the Jewish horn (jew's trump) or in Ireland and Scotland just as horn. Despite its name, and universal diffusion, which it is clear that its origin has nothing to do with the Jews. Rather it seems to be a deformed jaw's harp (literally, jaw harp), but that is not involved in the jaws of the instrument sound in any way. Others point to a word in Old English, gewgaw. But the origin of the instrument is neither Spanish nor English, nor even Europe, despite its wide distribution even in the Nordic countries. The story points rather to its source in the Far East, where he was able to disperse in Oceania (excluding Australia) and enter Europe at the hands of the early medieval merchants of the Silk Road. Southeast Asia has also climbed to the Siberian tundra, across the Bering Strait and won the souls of the Inuit peoples of North America. While there is no record of their existence in other parts of America before European colonization, the guimbarda (so called in many places at the mouth harp) was one of the most common utensils and sweets gifts fraternization between the people colonized. However, not all instruments are equal. Although the Chinese mouth harps, the Pacific and South-Eastern Asia tend to have layers of bamboo or wood, usually European metal. In central and northern Asia, and in the sub-continent of India there are both. For example, in Siberia and the evenks have udegei both types of instruments, while the latter nivkhs added to another layer of copper. In these cases, the sound of metal in the range usually associated with shamanistic rites, while the vegetable is played in social contexts. Among the Montagnards of Vietnam and Laos there are even mixed mouth harps, wooden frame and tongue metálica.Pero what is a mouth harp? This is a musical instrument, a technically idiófono down, so it can not be classified as percussion, and according to the musicologist Curt Sachs is an instrument that produces sound due to the rigidity and elasticity of the material that is produced without the need strings or stretched membranes, although later scholars such as Frederick Crane and Ole Kai Ledang inclined to return to the previous notion established by Marin Mersenne in the seventeenth century, it ranked as one aerophone since the operation of the instrument is only when air passes through the tongue. 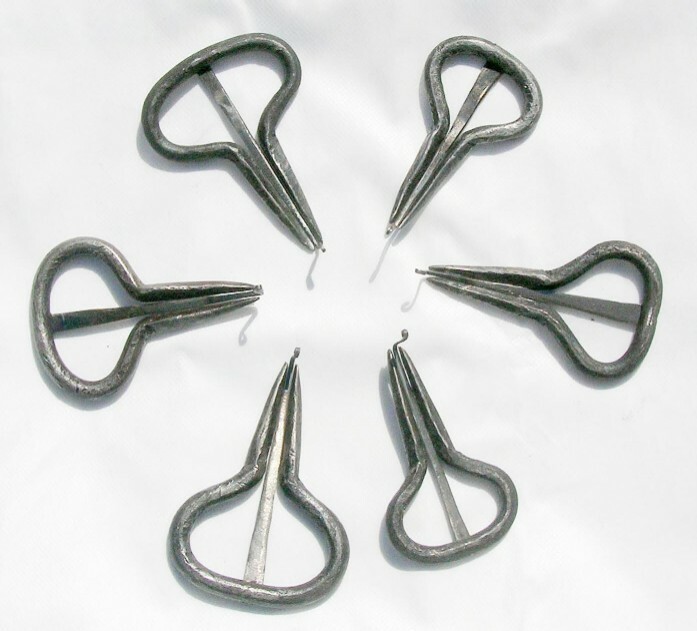 Curt Sachs mouth harps differed depending on the type of frame used, idioglotas well (with the tongue cut out in the framework) or heteroglotas (with tongue stuck or welded). But, as pointed out by Leonard Fox, this taxonomy does not include materials such as varieties of mouth harps idioglotas of bone, ivory or horn of the natives of Siberia, Mongolia and the Eskimos. The tab usually has eight to 35 cm. long and made of wood, bamboo, bone, ivory or metal. There are also mouth harps of the Nepalese Lisu of China with two or more tabs, while the Buang of New Guinea, the natives of Java and the Balinese use a bamboo tube behind the instrument to enhance their sound. Tabs Europe, by contrast, are usually forged, but there are newer models of iron, aluminum or tin. The frames are usually made of copper, bronze, silver and gold, but as usual they are of hardened steel. 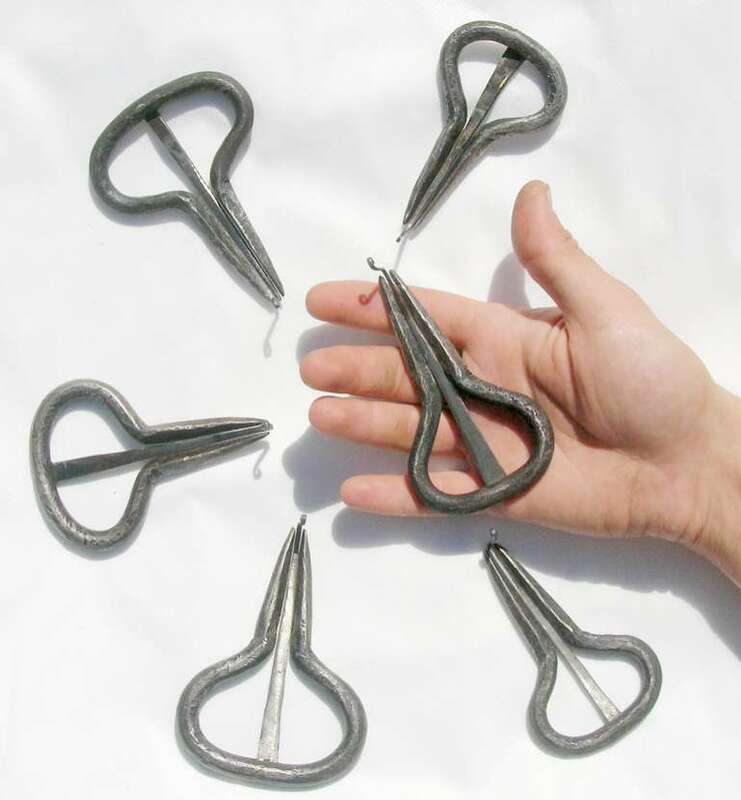 These mouth harps usually measure five to 15 cm. long. Finally, a variety of "latest technology" was invented in the U.S. jewsaphone in the 30s, which is nothing but a mouth harp welded to a megaphone. Those familiar with the archaeological mouth harps of Gallo-Roman period in Europe, see its resemblance to the designs of India, a Nepali and Afghan existing European influence. What we do there is strong evidence that the mouth harp in the Middle Ages in Europe was not only an instrument of pedigüeños and marginal, as is sometimes represented in the painting of him time in the hands of the angels. The tool even at concert halls in Europe in mid eighteenth century at the hands of Johann Heinrich and his Hörmann Partita in C major, and two sweet flutes, four violins (two with mute and two pizzicato) and continuous. Among the virtuosos of the era is the Benedictine monk, Father Bruno Glatzl and Franz Koch. Already in the nineteenth know the names of performers such as Heinrich Scheibler of Dusseldorf, who also invented in 1816 the aura, a mouth harp on several tabs as you press a piano, to design a circular pattern of 20 tabs. The highlight came in 1834 with the work of Karl Eulenstein capable of playing two harps and mouth simultaneously use up to 16 during a concert-tuned instruments. In the Austro-Hungarian Empire in the nineteenth century, young students often play an instrument of silver (as they called maultrommel) for their serenades, somehow mimicking the role of seduction in the procession that the instrument plays in Siberia, China, Cambodia, Indonesia, Philippines, New Zealand and New Guinea. 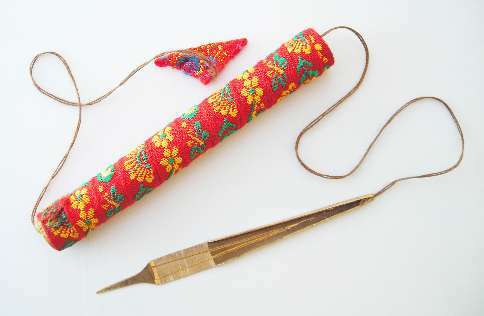 Even in some of these cultures, the mouth harp is used during the talks. In the XIX European also believed in the therapeutic possibilities of sound, a belief that still lingers in some place of Asia where it is used both to induce trance to heal. The fears of Malaysia known as the gengon and only the men play. Nearby, the kaluli of Bosavi jungle of Papua New Guinea uluna call her and imitate the sounds of nature. By contrast, the Balinese genggong has joined the gamelan orchestra, where generally there are two groups that play on an alternating basis. 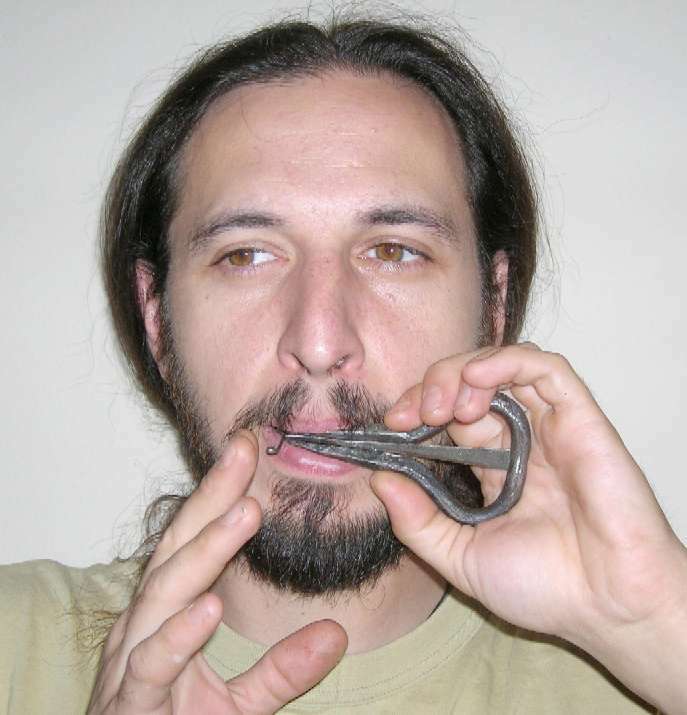 The revival of interest in folk music in recent decades has led to a renewed curiosity about the mouth harp in Europe. Now every day is more present in all types of musical genres, from electronic pop to avant-garde sounds, from jazz and world music. Each summer, in the Austrian village Molin, hosts a conference and a festival devoted to guimbarda (mouth harp). But not only in Europe, as in Oregon, USA, there is an annual festival, as well as in Japan. It has now gone from the hands of the pastors of virtuosos like Yvan Alexeyev and Spiridon Shishigin used in electro-acoustic research by John Wright and Tran Quang Hai, Geneviève studied by ethnomusicologists Dournon, Hubert Boone, Frederic Crane, Leo Tadagawa acoustic or physical Emile Leipp. With regard to the variety of names here are some, just in Europe. In Albania, vegël tringulluese in Belarus, drymba in Czechia, brumle or drnkaäka in Denmark, mundharpe, Holland, mondtrom, Estonia, parmupill, konnapill or suupill, Finland, munniharppu, turpajurra, märistysrauta, huulipeli, suupeli, suuharppu, mörinärauta , möristysrauta, juutalaisharppu, juutalaisen harppu, taavetin harppu or pussipeli, France, guimbarde, Switzerland, Bombarde, rebaîrbe, rbiba, rbaîrbe, trümmi, trimpi, trimmi, zanforgna, cinforgna, zinforgna, muultrummle or tremolo, Germany, in addition to the aforementioned maultrommel is also known as mundharmonika, Hungary, doromb, Iceland, munnharpa, Ireland, trumpadh, Italy, Scacciapensieri, ribeba, marranzanu or gnagnararrone, Latvia, vargas, Lithuania, bandírälis, or bandurka Seival, Norway, munnharpa or munnspill, Portugal, Berimbau , Romania, drîmba, drîmboaie, drîmb, drînd, or drîndä Dring, Russia, Vargas, Serbia, drombulja, drombulje or drimbolj, Sweden, mungiga and Ukraine, drymba, drumlya, doromba, organ, Vargas or Vigra. As for Asia, in addition to the alternatives mentioned in the text exist in Afghanistan, ko'uz-chang, Burma, and binds rab ncas; Cambodia, angkuoc, China, Huang, koqin, k'api or tivtiv; India, murchang , morchang, Muchanga, munchang, mursang, mursing, morsing, GAGAN, ghoraliyau, or ka-tendor while, Indonesia, rinding, karinding, gogo, popo, druri bewe, durian, ego, genggo, robe, juring, saga-saga, karombi, oli, or Nago, Nago or keit besi besi; Iran, zamburak, Japan, mukkuri or mukkuna, Kazakhstan, or komyz Temir-komyz, Kyrgyzstan, or komuz Temir-komuz, Laos, or toi hun, Malaysia, bungkau, turiding , gurudeng, junggotan, juring rangguin, rangoyd, Rangoon or jyrin, Mongolia, Khuur love, love tobshuur, khulsan Khuur, Temur Khuur or tömör Khuur, Nepal, binaiyo, kha-wang, Machinga, changu, machunga, or kom i-gon -kap, Pakistan, or chang morchang; Philippines, kubing, abafiw, alibaw, Olate, ONAT afiw, biqqung, guyud, giwong, ONAT ulibao, ulibaw, ko-ding, kulibao or ori-bao; Tajikistan, chang-kobuz , Temir-chang or Changi Zanon, Thailand, Hoen-Toong, Turkey, aêiz tamburasi, Turkmenistan, kobyz, Uzbekistan, kobuz-chang, chang-kavuz or Temir-chang, and Vietnam, Can Moi nggoec, tong, kong kle, kon hle, rhnui, Goch, RODINGER, toung, wadding or pang teu ing. Vietnamese mouth harp, built in warm bronze. In Oceania, the islands are known as pokakakaka Cook titapu or in Guam, belembaupachet, Hawaii, or 'au kani, Mangai, ko'e tangi, Marquesas, Hiva Oa or tita'a kohe, New Britain, Kaur, New Guinea , susap, begnankr, bombom, pumbune, or tungge Song; New Zealand, kukau or rooria, Palau, tumtum ra lild; Pukapuka, alive, Samoa, UTET; Solomon, Mabu or tankuvani and Tonga, Mokens. In Africa, besides the European terms imported into the colonies, found in Madagascar lokanga the vava in Nigeria, Bambaren, bamboro or port in South Africa, sekebeku, setjoli or isithokotholo and in Tanzania, koma. As for America, the mouth harp originally entered in the Inuit peoples of the continent's north and then came in the form of trinkets at the hands of conquerors and traders. Today, some indigenous peoples of South America have adopted it, while retaining the European nomenclature (guimbarda, mouth harp, horn, horn or tube). 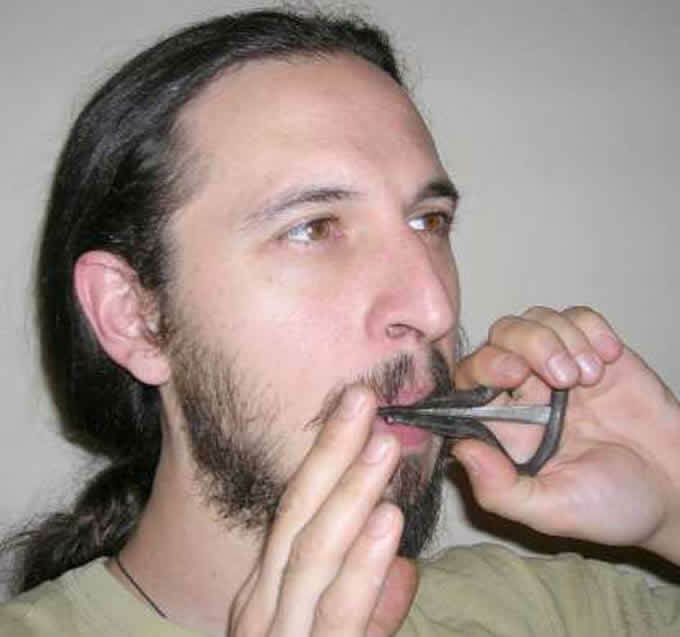 The mouth harp is played by holding the metal frame with your left hand so that the narrowest can grasping between the teeth or lips of the performer, while the index of the right hand click on the tab. Be careful not to touch the tongue with the lips, teeth or tongue. The sound is varied and changing the shape of the oral cavity, thereby strengthening the various formants acoustic sound that will make different notes within the series of natural harmonics of the tongue. A larger size of the cavity has a more serious sound, and vice versa. With a little practice you can draw a mouth harp third harmonics (fifth perfect connection to the fundamental), fifth (third highest in the reference above), seventh (seventh child in a lower pitch to the note equivalent of the Western tuning system), eighth (key note, two octaves above), ninth (second highest) and Tenth (repetition of the fifth, eighth most acute). There are even those who reach the 13th (sixth largest) or 15th (seventh largest). Sometimes speech sounds are added to alter the timbre, in addition to advanced techniques to produce the language stacatos and vibrato effects, as well as variations in the breath and inspiration. The interpreter and constructor of mouth harp exercised Wayland Harman suggests putting the mouth in different ways of pronouncing vowels and some consonants like D, G, K, L and T. Recommended to use the diaphragm to apply different pressures affecting the exhalation tone, and the inhalation or the alternation between the two. The vocal cords can be used simultaneously to produce another sound, while the main task of the language is to alter the height, the mission for which it also uses the throat. 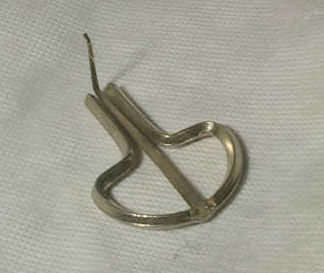 To alter the fundamental pitch of the tab sliding tabs used in Romania, while other parts are used small ball of wax on the tip of the tongue to alter their musical height. In South India, musicians pronounce syllables of carnáticos sophisticated rhythmic solfege (konnakol) while playing the morsing, mouth harp that appears in the local instrumental percussion interludes known as avartanam thani. of tempered bronze, the other harps of Austrian and Marranzano mouth we do not produce them more, if you want to buy one of the harps of Vietnamese mouth you can contact us through the section CONTACT, Thank you.